Want to know a little secret? Sometimes it’s the easy things that look the best when it comes to party decor. With only a few simple steps, there is a lot less to mess up on. 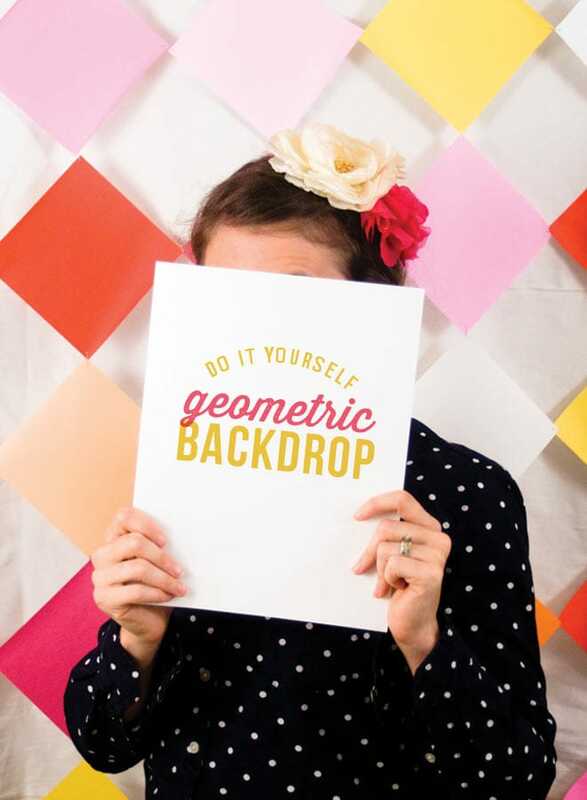 Just like this fabulous geometric photobooth backdrop. 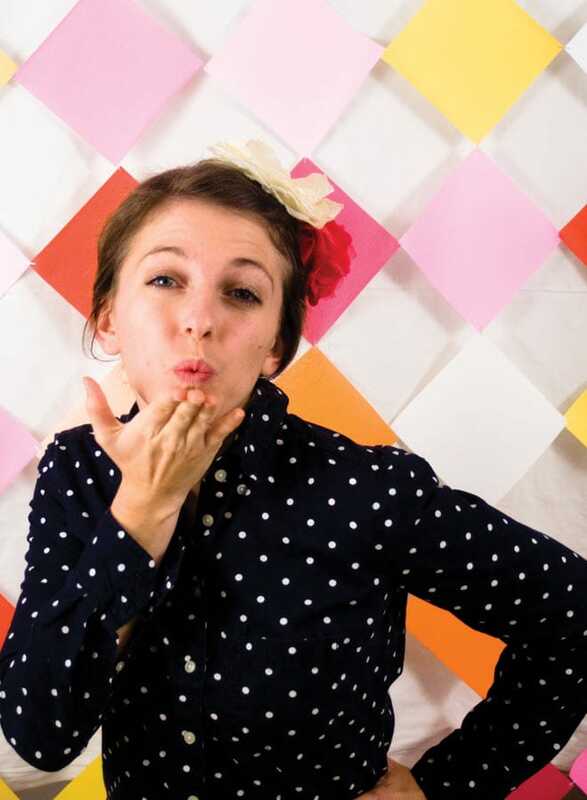 Who wants just a boring photobooth backdrop at their party? Add some pizzazz with a fun geometric pattern that is too easy to pass up. Origami paper in the colors you want. I used the 5 inch by 5 inch size. (1) Staple the corners of two papers together. Staple the opposite end of one of the papers to another paper. Continue stapling until you have the desired height of your backdrop. I ended up stapling 9 squares for each row. I ended up making 5 rows for my backdrop. (2) Once you have stapled all your rows together, lay the rows out next to each other side by side. Staple the rows together by stapling the non-stapled corners of the papers together. All together it should make a nice diamond pattern. 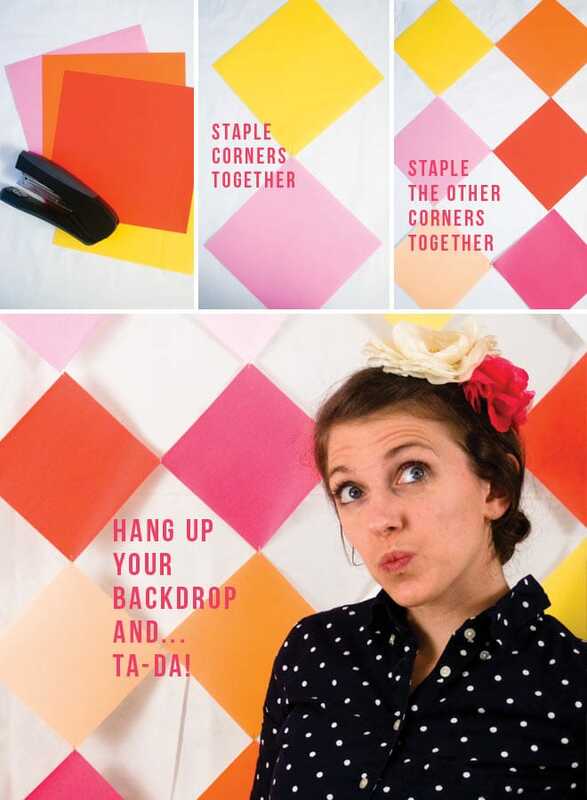 (3) Hang your backdrop up against a wall, or tape it to a wooden dowel and suspend it from the ceiling. Either way it is sure to add a punch of color to your party decor! Host a Girl’s Night in Peacock Themed Party! Cute DIY Monogrammed Glasses + Silhouette Portrait Giveaway! Cute! I love how simple this is. This is really cute! Great colors too. I loooove Sara!! She is so creative and her blog is awesome! I have used this idea twice for youth events. It is a hit. Thank you!